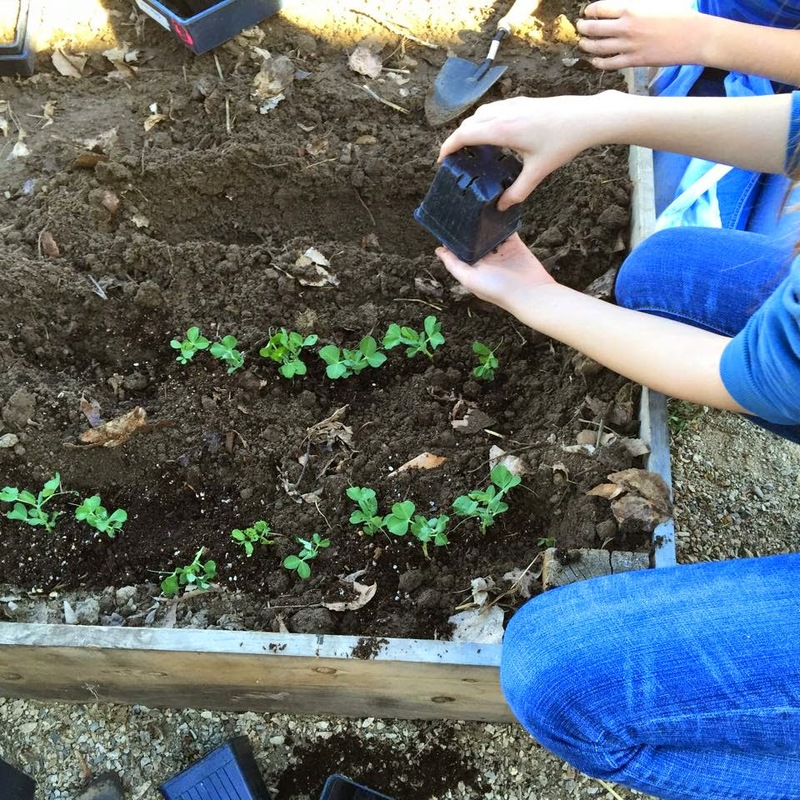 Lowell Scott Middle School garden club students putting in pea plans. More than 200 sugar snap and snow peas planted. I remember doing things like that in school.